LIBERAL MP Josh Frydenberg has savaged Bob Carr’s patronage of Labor Friends of Palestine, branding the “lazy” former foreign minister an “opportunist” and a “dilettante”. Mr Carr’s decision to take up a prominent role for a new ALP group pressing for Palestinian statehood comes almost 40 years after Mr Carr launched Labor Friends of Israel with Bob Hawke, believing then that “Arabs were terrorists”. Mr Carr, premier of NSW for a decade before his stint as a federal minister, said Israel had changed and accused fanatics in the country’s government of promoting “apartheid”. Mr Frydenberg, parliamentary secretary to Tony Abbott, this morning savaged both Mr Carr’s new appointment and his political record during an interview on Sky News’s Australian Agenda. 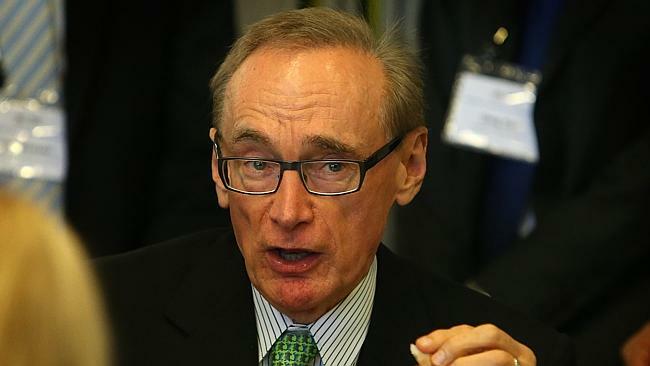 “This grandstanding by Bob Carr is all about him. It’s nothing more than an obsession on Bob Carr’s part,” Mr Frydenberg, the government’s only Jewish MP, said. Mr Frydenberg accused Mr Carr of being a “lazy” and “a dilettante” as foreign minister. “I agree with Julia Gillard,’’ Mr Frydenberg said. “Bob Carr should never have been appointed foreign minister. He was lazy and he did nothing in that job,” Mr Frydenberg said. Mr Frydenberg denied the government was under pressure to recognise the state of Palestine, as Sweden did last month. “Tony Abbott has proven himself to be a steadfast friend of Israel and that’s because he understands that Israel is a democracy and understands Australia’s values,” Mr Frydenberg said.